Peaceful Equestrian Living!! 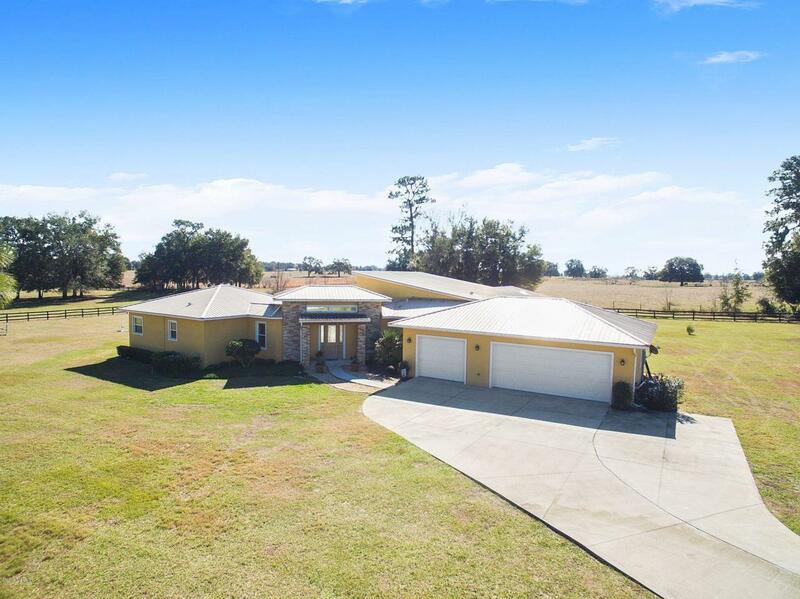 Desirable 6.5 Acre farm in gated community. 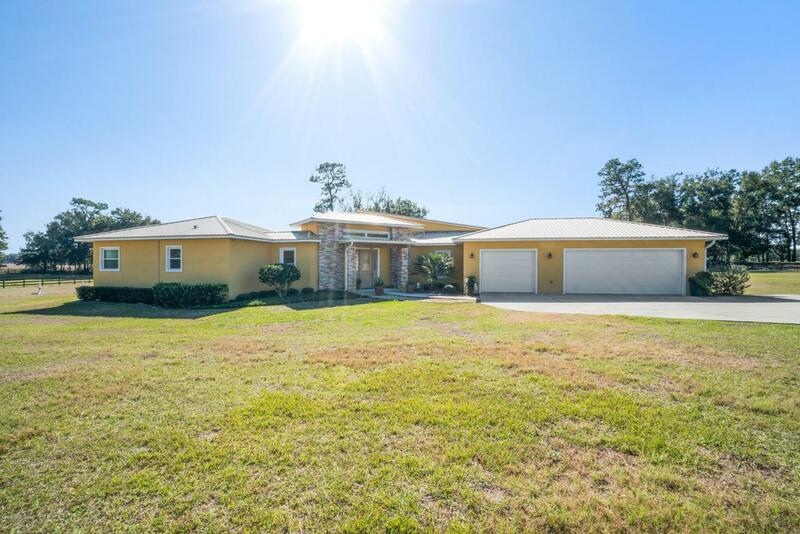 Comfortable layout & beautiful views embody this 5 bed/4 bath custom built home. 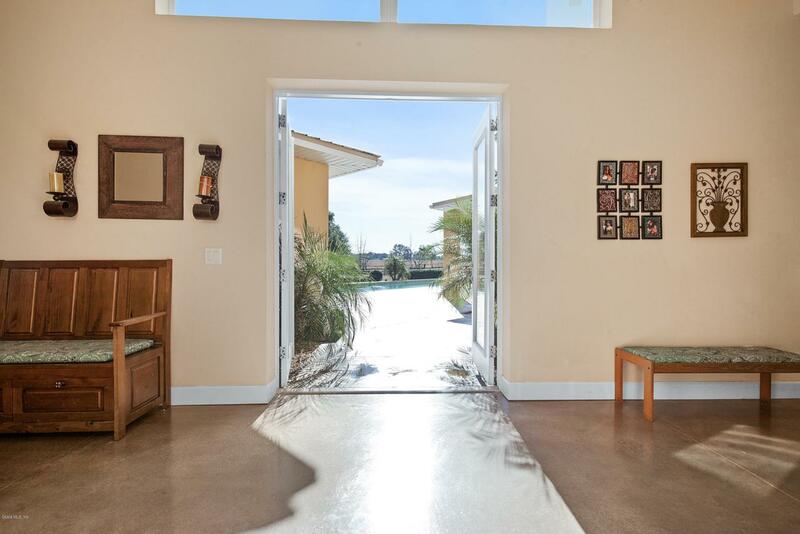 Loads of natural light & soaring ceilings accentuate wonderful floor plan consisting of a master wing & a guest wing. Full Office that opens to pool area for enjoyable work space. Gorgeous covered & open patio pool area overlooking pasture, perfect for relaxing or entertaining. Exceptionally energy-efficient home - ICF (insulated concrete forms) construction, on-demand hot water, metal roof, polished concrete floors. Tons of storage - walk-in closets, huge pantry, mudroom. Bridle trails. 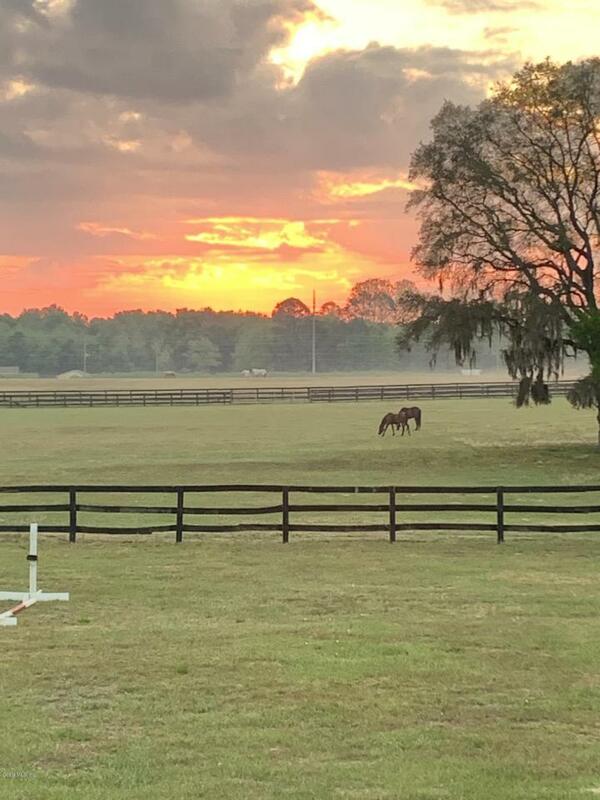 Plus only minutes to World Equestrian Center, Golden Ocala Equestrian Center, HITS, regional airport or to town for dining, shopping or medical.